Observers have begun collecting testimonies from those protesting the Dakota Access Pipeline and, on Monday, Grand Chief Edward John, a Native American member of the U.N. permanent forum on Indigenous issues, met with police officials in Mandan, North Dakota and visited the cages where some of the 141 arrested protesters were held after last week’s military-style police raid. Those detained at the Morton County Correctional Center said that while they were held in the 10-by-14-foot cages they were forced to wait for basic necessities, such as “access to bathrooms, food, water, and medical attention,” the Guardian reported. 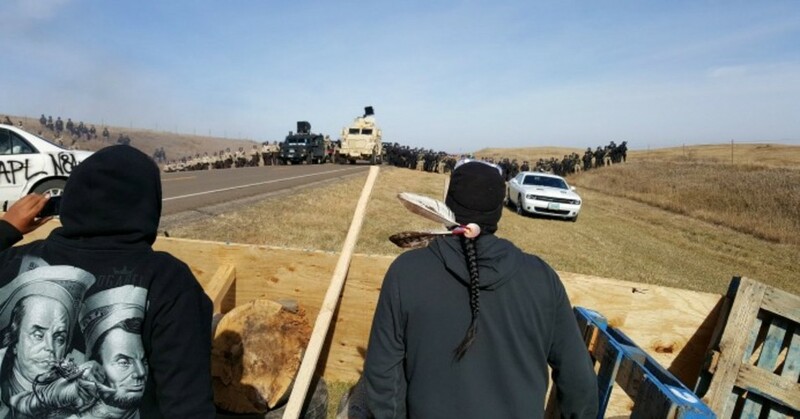 “The government is allowing the police force to be used as a military force to protect an oil company,” added protester Kandi Mossett, a member of the Mandan, Hidatsa, and Arikara nation. The Morton County Sheriff’s office has also been accused of tracking the activists through a feature on Facebook, a claim which spurred more than one million people worldwide to “check in” to the Standing Rock Sioux reservation on Monday in an attempt to “overwhelm and confuse” law enforcement and express solidarity with the demonstrators. The fact that a campaign of “intimidation and repression” is being waged on behalf of a private company is not to be overlooked, according to a coalition of environmental groups, which late last week sent a letter (pdf) to the owners of the $3.7 billion tar sands pipeline, reminding them of their “complicity” in the ongoing human rights abuses. “As joint owners of the Dakota Access Pipeline, you have a corporate duty under international law and the laws of the United States to respect human rights and to avoid complicity in further human rights abuses. 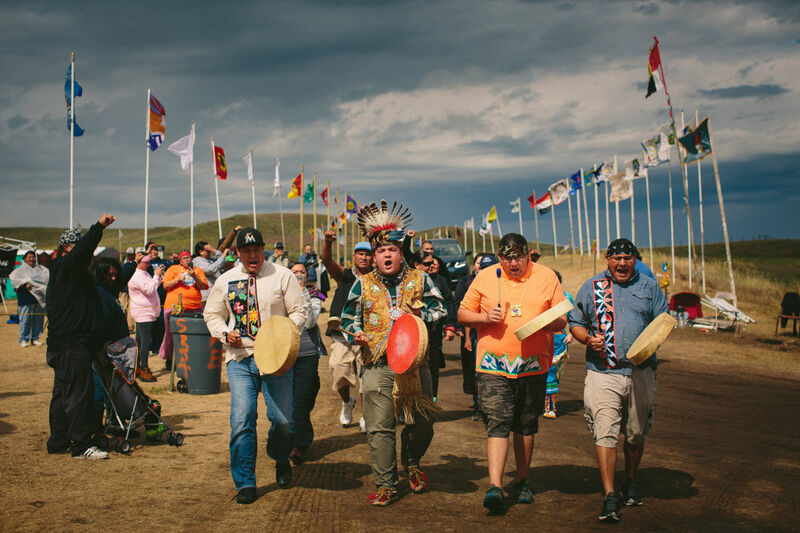 It is imperative that you take action to stop the attacks on peaceful occupiers immediately,” states the letter, which is addressed to officials with Energy Transfer Partners, Phillips 66, Enbridge Energy Partners, and Wells Fargo bank. “We emphasize and caution that the active involvement by persons acting under color of governmental authority, including state or local law enforcement, does not absolve your companies of these duties,” it further states. International human rights watchdog Amnesty International has also sent a delegation of human rights observers to monitor the police response to the ongoing protests. Meanwhile, the water protectors have vowed to maintain their vigil throughout the winter and continue their resistance as the pipeline construction encroaches upon their sacred land and water. I’m so sympathetic to this cause. It’s deplorable. I’m in Scotland, I feel helpless. I’ve donated and share everything on Facebook but it gets little response….I think it seems too unreal… But it shouldn’t. Great numbers of Scots were cleared off their own land too. I wanted to ask about the photo…it’s beautiful, I’d love to paint it…. Can I ask the photographer? Didn’t those Scotts all go to Ireland? I have faith in them though. We can’t have a revolution without them. The photo I think is from an (online) newspaper. I’m pretty sure the photo credit listed was just the paper’s. I’ll look for it by image. Sorry for such a long-winded reply! UN observers monitoring abusive treatment of Standing Rock protestors. 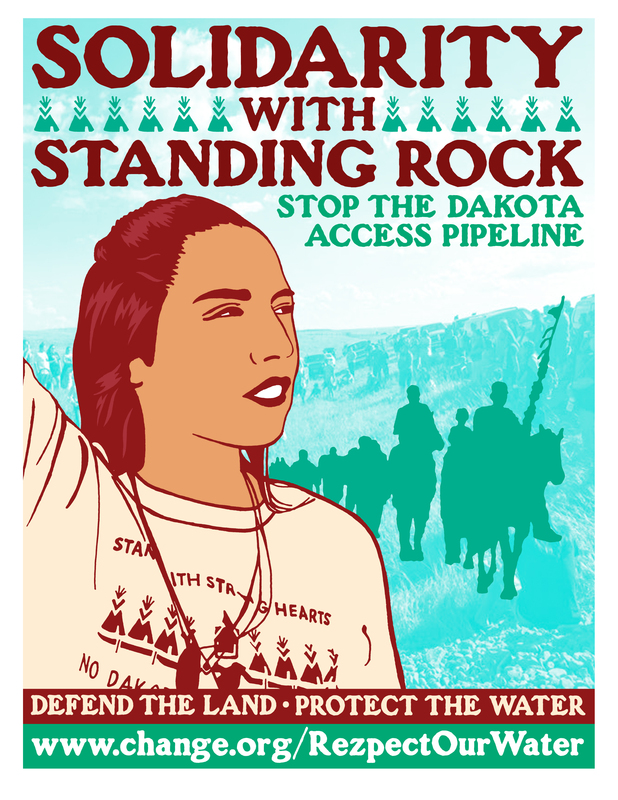 Pingback: Standing Rock: A Moral Choice for the Media – SoulPaths / the journey…. Once the damage is done it is done forever. Let them speak for all of us who want a clean Earth for our children and our children’s children. Stop the pipeline. You said it right, Eddie!